Motors: 2 - 160 GPM = 320 GPM! Size: 990 x 90 x 36 in. Size: 84 x 84 x 36 in. Size: 77 x 77 x 36 in. 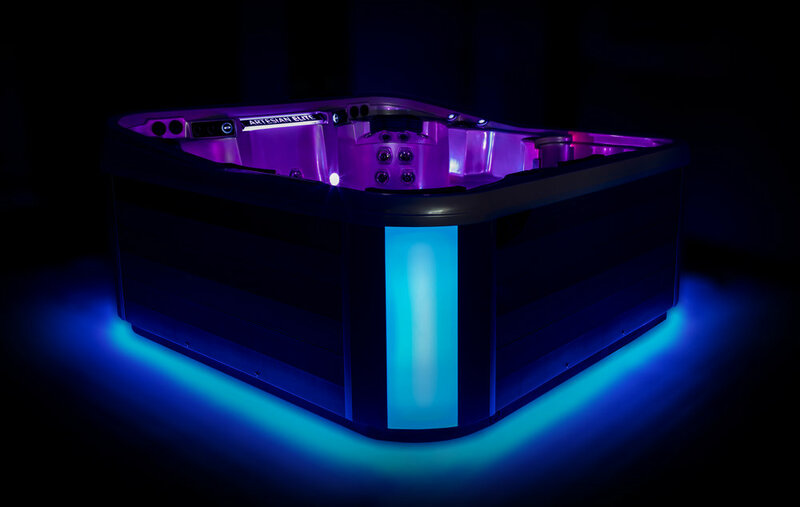 You'll feel like you just won a Tony Award when you slip into your Broadway hot tub! The creative seating arrangement features a wraparound seat for two, a super deep Director's Chair with fantastic leg therapy, another deep seat for total back therapy and two more seats at varying heights. Everyone in the house will enjoy the performance. Plus its plug-n-play system is a great convenience. A soothing waterfall and Twilight lighting adds to the ambiance. 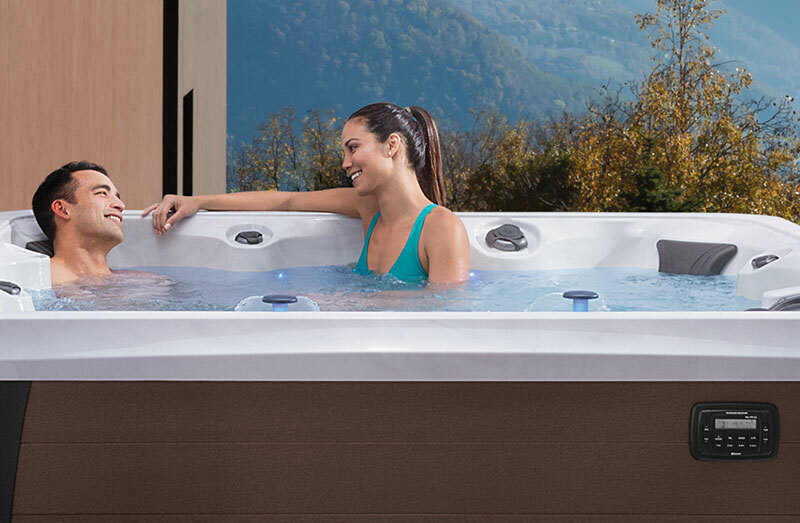 Add the Motown audio system with MP3 dock and you can soak the night away like a true rock star. 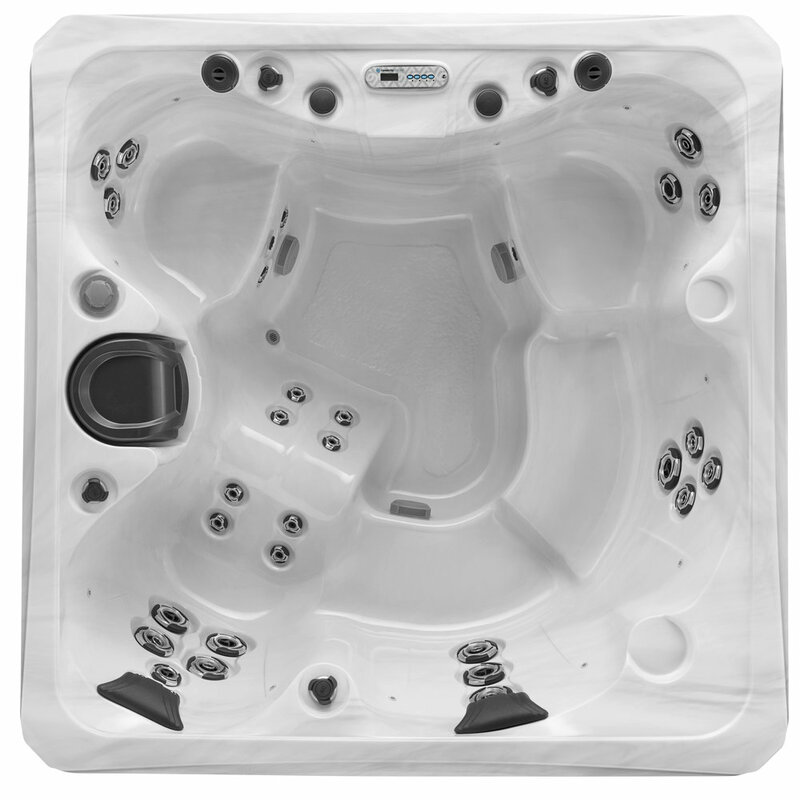 The Monaco accommodates a group of five. 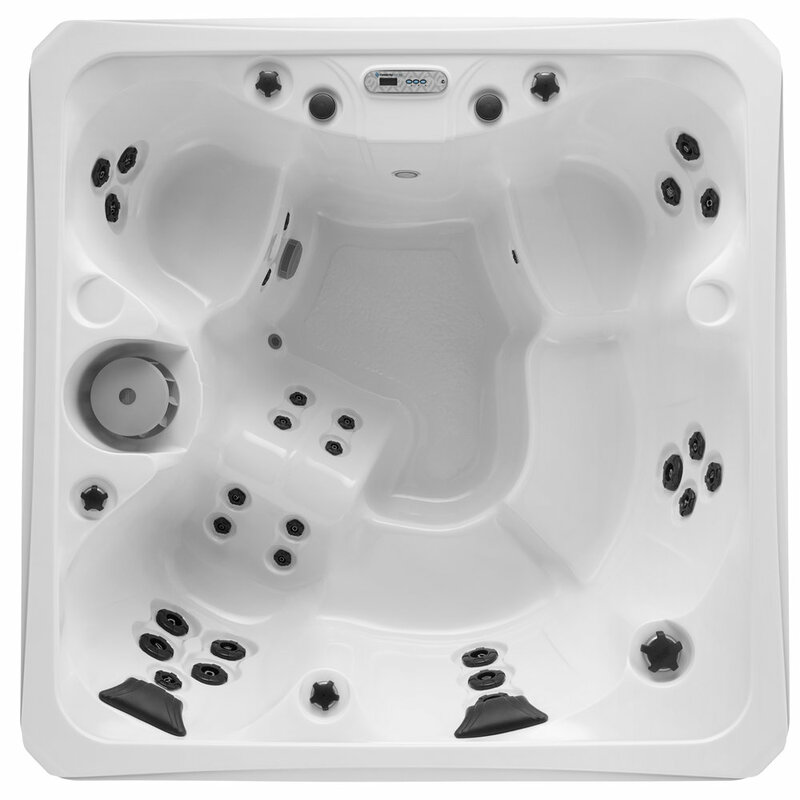 This throwback to the round hot tub days has a generous lounge with jets from neck to feet, two deep therapy seats with full-back therapy, and two bucket seats. An optional 240V performance upgrade enhances your therapy experience. Size: 80 dia x 36 in. The Monaco Elite accommodates a group of five. 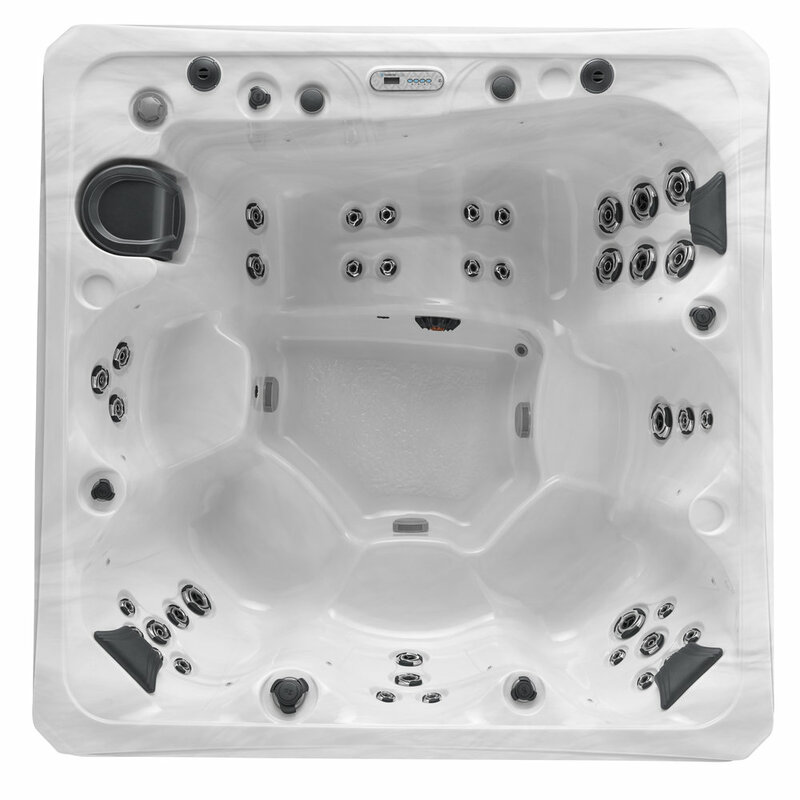 This throwback to the round hot tub days has a generous lounge with jets from neck to feet, two deep therapy seats with full-back therapy, and two bucket seats. 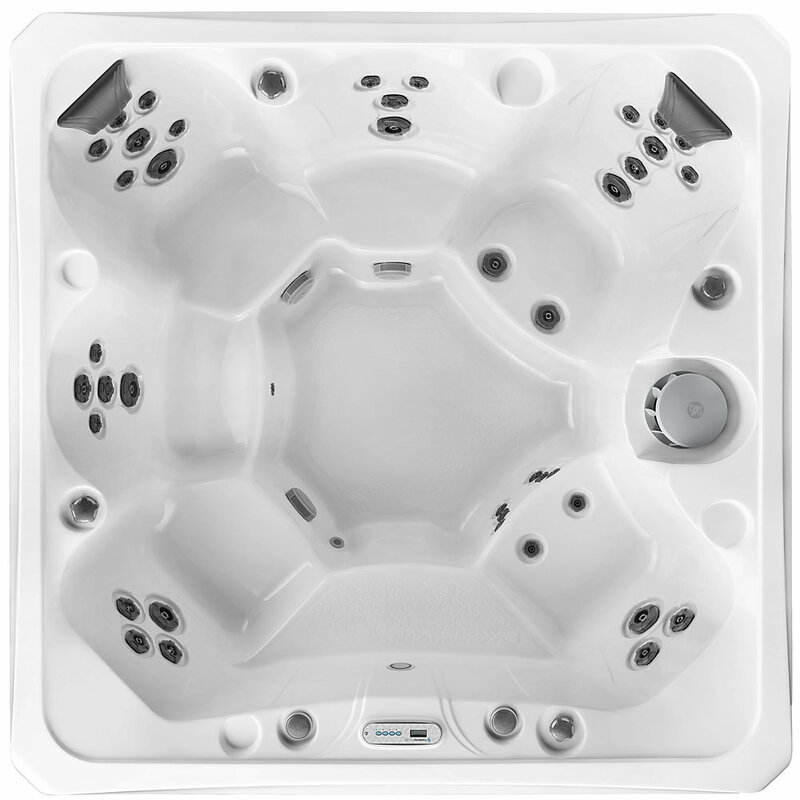 Stainless steel jet faces and foam-over plumbing come standard, plus the option to add Motown™ audio with Bluetooth. The optional 240V performance upgrade enhances your therapy experience with a higher-flow-rate pump. Size: 60 x 84 x 29.5 in. The Santiago is capable of running with either 120V or 240V. Size: 84 x 61 x 32 in.